George Cardas founded Cardas Audio in 1987, in his garage in Ontario, California. As the business grew, he moved production to a building in Upland. In the early 1992, facing the decision as to whether or not to renew the lease on that building, he and his wife drove up the west coast, checking out the various towns along the way. Upon arriving in Bandon, they decided to make that their new home, and to move the business to the southern Oregon coast. Many of the employees made the move as well, with several still working at Cardas today. Back in the early 1990's, Bandon was mostly an agricultural (cranberries) & fishing town. Since that time, with the construction & growth of Bandon Dunes Golf Resort, Bandon has become a mecca for golfers seeking its unique & challenging links-style courses. 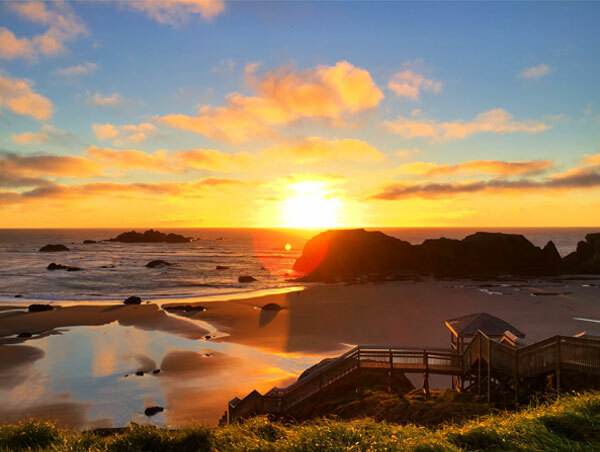 Located 4.5 hours from Portland, and 8.5 hours from San Francisco, with no major airports nearby, Bandon isn't easy to reach. But with its small-town feel, and easy going vibe, we find that it's an excellent place to produce some of the world's finest audio cables.